"When 'i' is replaced with 'we' even 'illness' becomes 'wellness'." Wellness is a goal for people who want to lead a healthy lifestyle so start your healthy journey with Robinsons Supermarket’s I Love Wellness festival. It is not just about eating well but about living well. 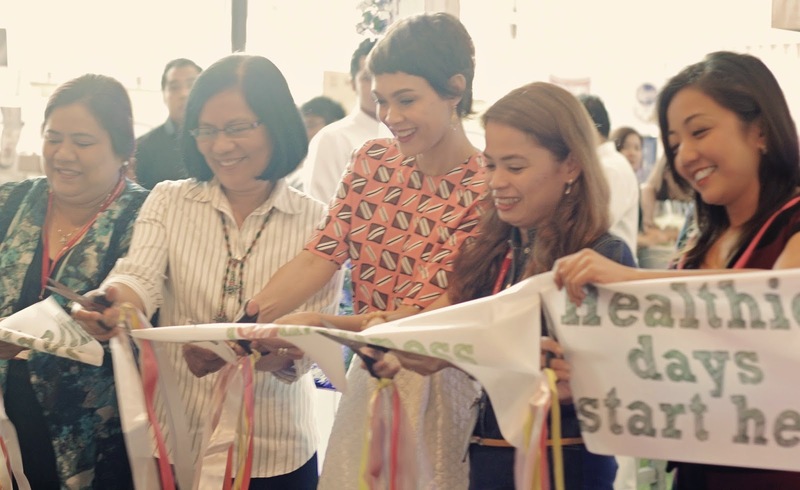 Ribbon cutting ceremony with the Wellness Team of Robinsons Supermarket and Ms. Angel Jacob, host of Robinsons Supermarket’s Wellness Festival launch. 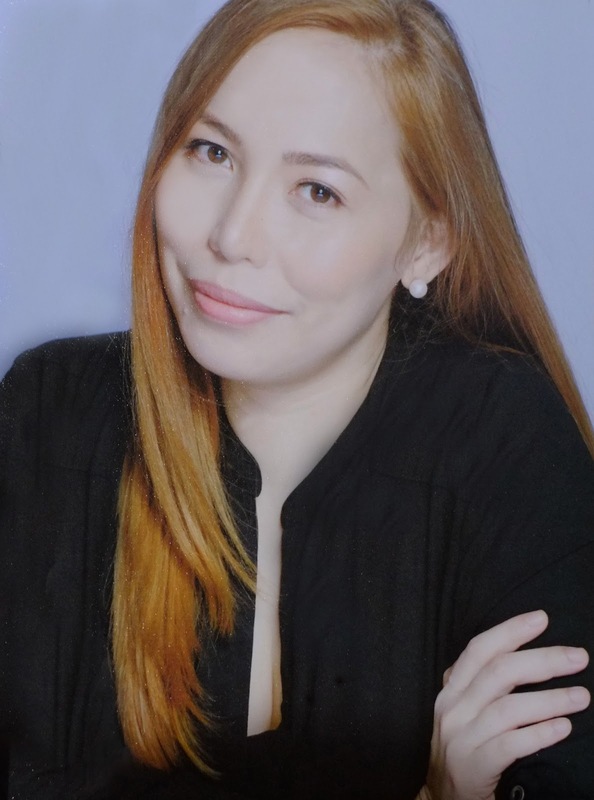 Robinsons Supermarket launched the Wellness festival on June 19, 2014 at Robinson's Magnolia with Team Kramer as guests. Chesca and Doug Kramer with their kids, Scarlet, Kendra and Gavin at the Robinsons Supermarket’s Wellness Festival Launch. The lovely family shared some smart shopping tips to everyone. 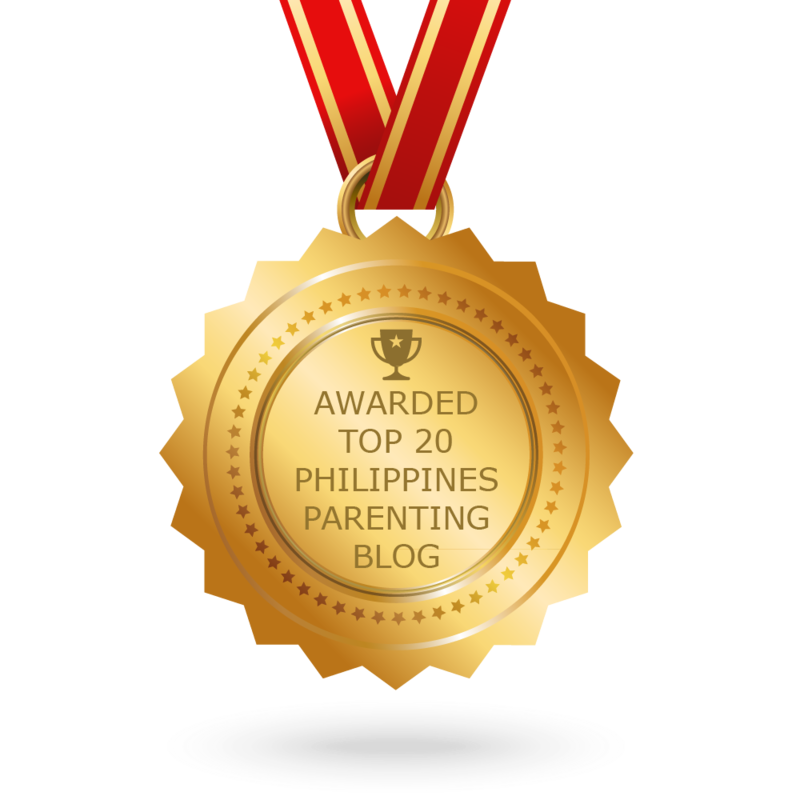 As advocates of wellness, they also encourage families to eat clean and live healthy, like they do at home. 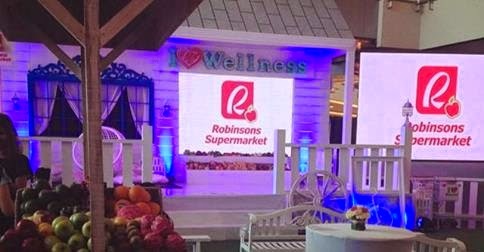 Geared towards helping them develop a lifetime commitment to healthy living, Robinsons Supermarket is holding a series of three-day Wellness Festivals, starting at Robinsons Magnolia from June 19-22, to encourage Filipino families to eat healthy and make more educated nutritional decisions. The Wellness Festival showcases a health and wellness section, as well as more fun and engaging booths that will enable people to try out healthier options and practices. This includes Unilever’s Dove consultation booth, and Nestle’s general wellness booth that includes fat analysis check, BMI check, and nutrition counseling, to name a few. Also, a family’s healthier life starts from well-aware and educated purchases. Robinsons Supermarket has also employed “Shop Smart” tag labels that color codes items based on health benefits, nutritional content, and price discounts. TIP: Make healthier choices by including Healthy You products in your grocery list. 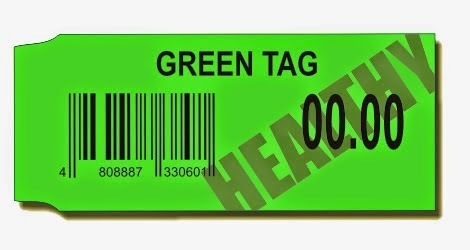 Visit the Health and Wellness section and look for the green shelf tags for products with healthy benefits. It further established its position in promoting health and wellness by partnering with the Department of Science and Technology’s Food and Nutrition Research Institute (DOST-FNRI), to provide up-to-date information on food and its nutrient contributions. To know how you and your family can start living a healthy life, visit the Wellness Festival which will also be held at Robinsons Ermita from July 18-20 and Robinsons Imus from July 25-27. 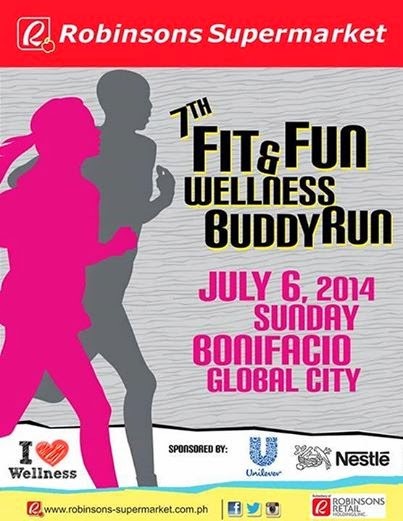 Dash to Robinsons Supermarket and register for the 7th Fit and Fun Wellness Buddy Run. Run in pairs on July 6, Sunday at the Bonifacio Global City, Taguig. Exciting prizes await at the finish line! Click here for more info. 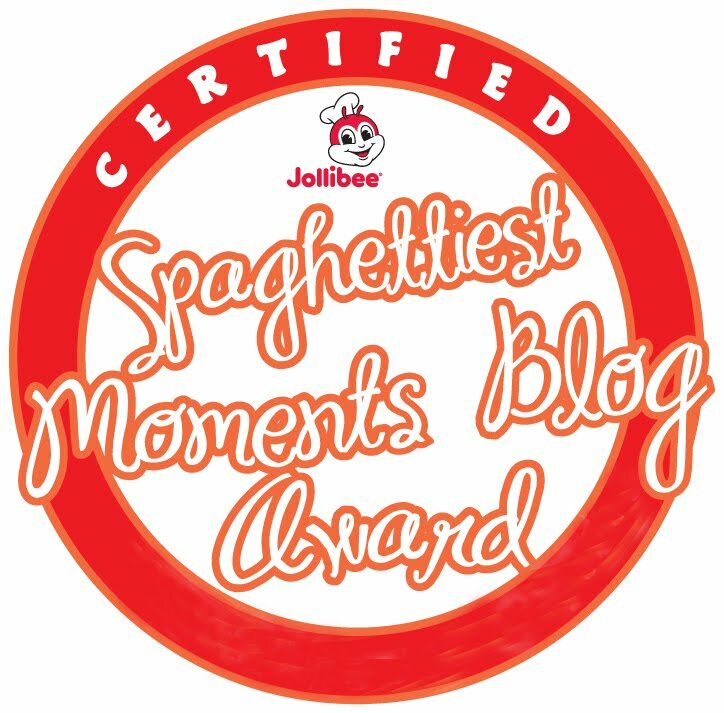 "Like” its Facebook page www.facebook.com/RobinsonsSupermarketOfficial and follow them on Twitter https://twitter.com/robsupermarket to get the latest updates. Don't forget to join my 1 Million Pageviews Giveaway here! You can also win a spampering treatment at Thai Royale Spa here! Have a blessed weekend everyone! Many people lately notice it tough to dine in a healthy manner on a daily basis. With the prevalence of aliment on each turning point, the convenience of at-home food delivery services, and selections within the grocery store that simply got to be thrown into the microwave, it is simple to require the straightforward route and elect one amongst these choices for breakfast, lunch, or dinner.